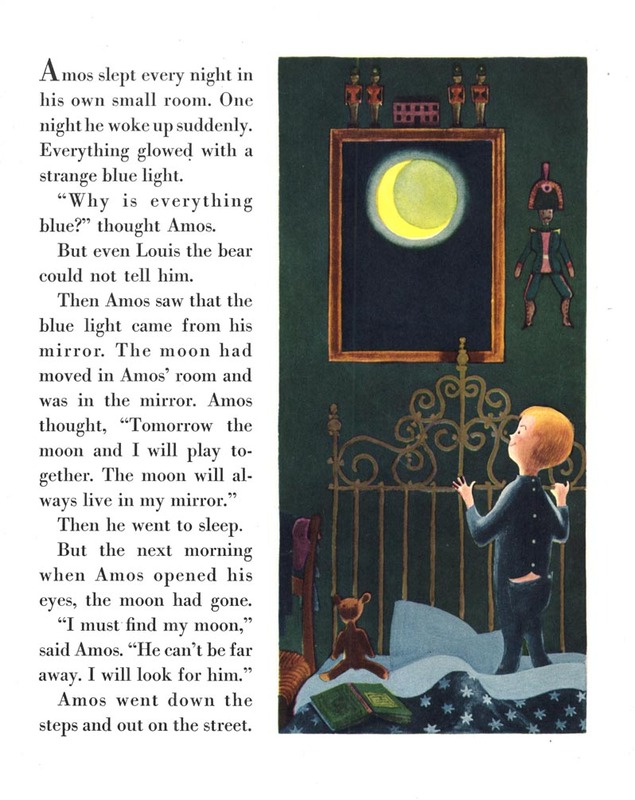 Amos awakes one night to find the moon has moved into his mirror. He is delighted at the prospect of playing with the moon the next day, but when he wakes in the morning, the moon is gone. He sets out in the neighbourhood, asking everyone he encounters if they have seen his moon. 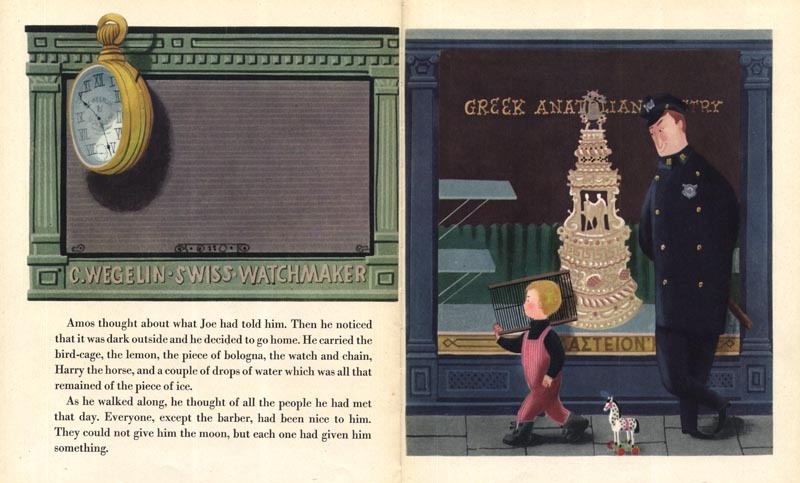 Each shopkeeper gives Amos a small gift to assist him in his quest to recover his moon. 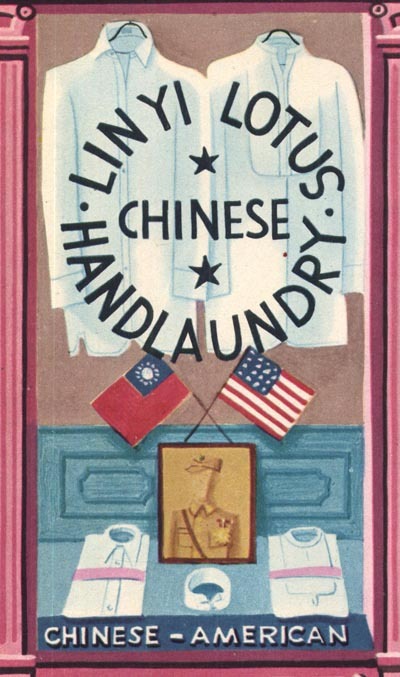 In the end, its Joe Ming, the Chinese laundryman, who solves Amos' dilemma. 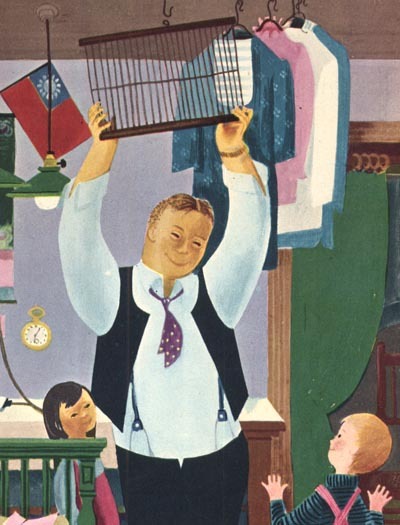 He gives Amos an old bird-cage and tells him, "You hang this over your mirror. Once in a while, maybe once or twice a month, you will catch the moon, and he will be with you for a little while." By this time its getting dark. 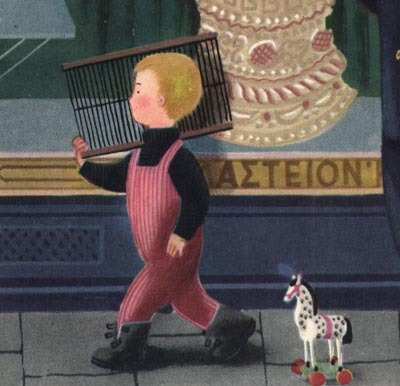 In his travels Amos has collected, besides the bird-cage, a lemon, a piece of bologna, a watch and chain, Harry the Horse, "and a couple of drops of water which was all that remained of the piece of ice." 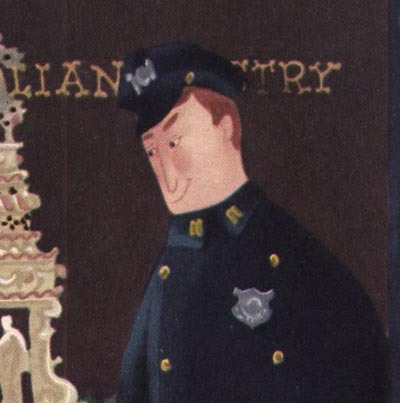 I love that Balet thought to include the policeman, still watching over Amos even though he has been on duty since early in the day, when Amos made his first stop to visit Pete the Iceman. Why in the world did we choose to trade in our cops walking the beat for uncaring surveillance cameras? In case you missed this yesterday, there's a quirky element that Balet included in the story that gave me pause: everyone had been kind to Amos except the barber. "The barber," Balet wrote, "was an angry man. 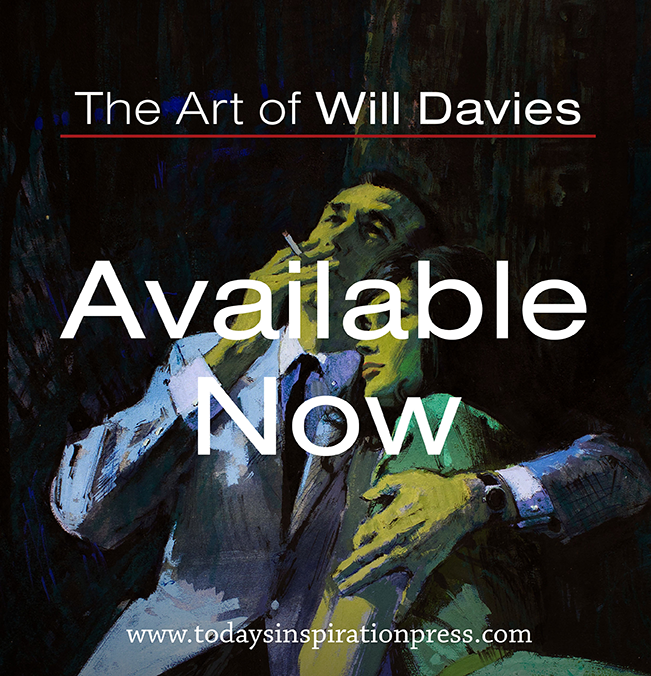 "Here you, I don't care what you wonder, " he shouted at Amos. "Don't bring that stuff around here." What an odd thing to include in a children's story, especially as each shop-keeper is branded with a distinct national identity. I doubt you could do such a thing in a modern children's book for fear of offending one group or another. 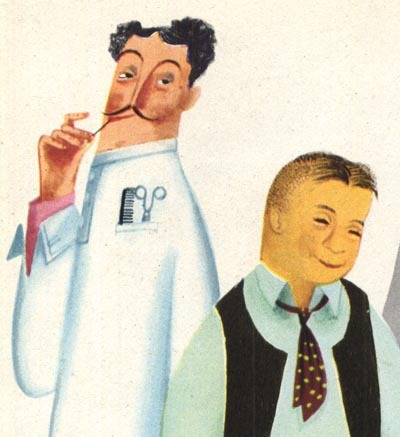 But I believe Balet included this element, not to suggest Italian barbers are mean-spirited in general, but rather to simply say to children, "this is reality - not everyone you encounter is going to be nice to you." "That very night," writes Balet, "... the room was filled with a wondrous blue light and Amos remembered what Joe Ming had told him. No one has the moon always - just once in a while." I like that Balet found a way to strike a balance between the magical wonderment of Amos recapturing the moon, and the idea that such moments are fleeting, and should be cherished. Nothing lasts forever. Jan B. Balet, died on Saturday, January 31, 2009. Born in Bremen, Germany on July 20, 1913 he was schooled in Friedichshafen and Munich. He attended schools of arts and crafts in Munich and Berlin and spent several years at the Academy of Fine Arts in Munich. After traveling throughout Europe he left Germany in 1938 in protest to the Hitler regime and immigrated to New York City as a free-lance artist. While living in NYC he was the art director for Mademoiselle and Seventeen. 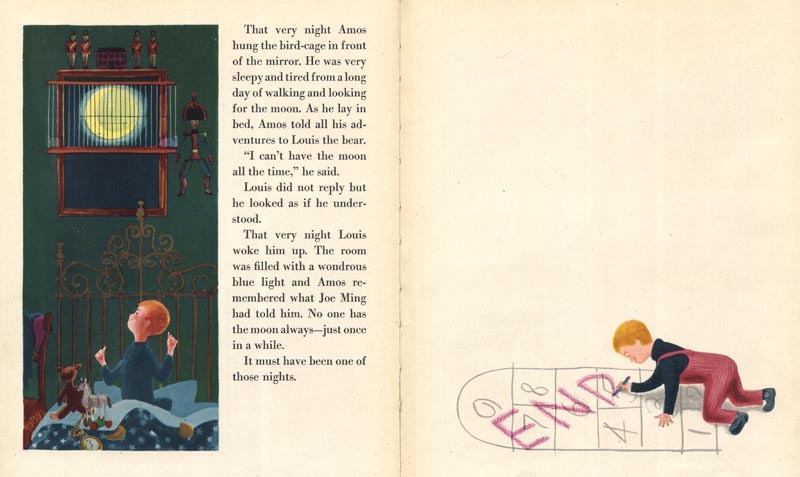 He was also well-known for his illustrations in various magazines, including Vogue, Good Housekeeping, and House and Garden. 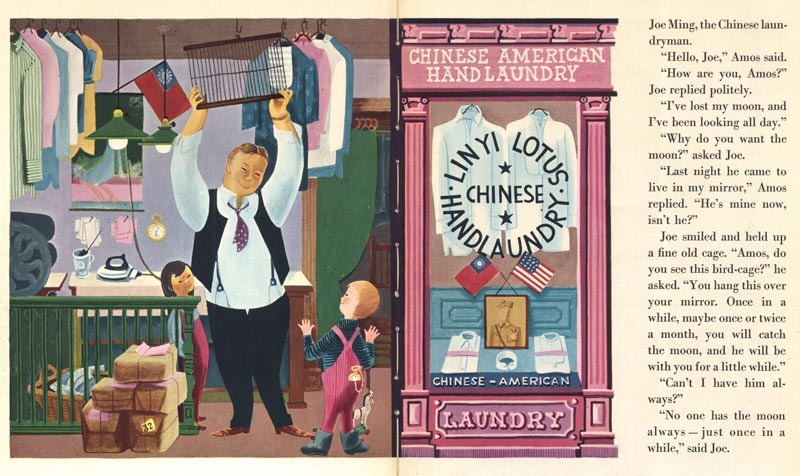 He did work for Macy’s, Saks Fifth Avenue and many other shops. 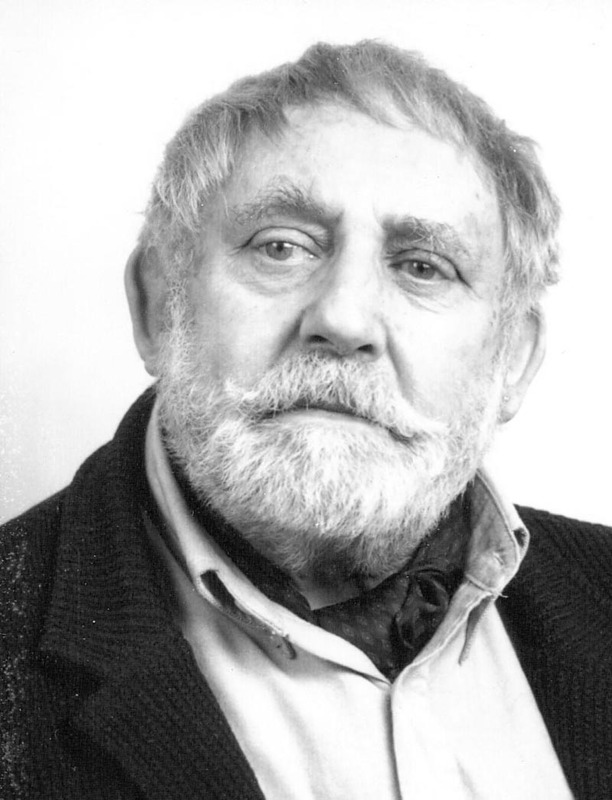 He has written and illustrated many children’s books including What Makes an Orchestra, Joanjo, Amos and the Moon, Ned, Ed and the Lion, The Five Rollatinis, Ladismaus, Das Geschenk, Der König und der Besenbinder, Der Zaun, Ein Skizzenbuch, Katzen-Skizzen, Skizzen-Paare, and Paris-Skizzen. He has also illustrated many books including Rumpelstiltskin, Bean Blossom Hill and Papa Pompino. He received many Gold Medals, Awards of Merit and Certificates of Excellence for his children’s books and graphic arts exhibits. His ads for Lees Carpets won an Award for Distinctive Merit from the Art Directors Club of New York. While in NY he had a residence and studio in NYC and a summer home in Long Island. He traveled throughout North America in his own plane. In 1965 he moved back to Munich, Germany then La Landell, France. In 1978 he made his home in Estavayer-le-Lac, Switzerland where he continued to paint and produce masterful lithographs which are fancied all around the world. For the past thirty years he has had many successful expositions throughout Europe. He has also been cited in many publications and books including American Artist, Vogue, Schöner Wohnen, Masters of Naïve Art, and Die Naiven der Welt. Balet’s works are in permanent museum collections in Europe, including the Stadt Museum in Munich, the Regierungspräsidium in Tübingen, the Kunsthalle in Bremen and the Langenargen Museum in Bodensee. Though often described as a “contemporary primitive” or “naïve” artist because of the simple stylized appearance of his work, Balet referred to himself as “a sophisticated primitive.” His works exhibit a dry wit and refreshingly candid, satirical view of life. Droll yet charming, enchanting yet dark, Balet’s works are the perfect marriage of nostalgic yearning and slightly rueful knowledge. Throughout all his works is the force of human nature which is humorous but insightful. Balet said he drew inspiration from both ancient Greek and ancient Egyptian art. Brought up by his maternal grandparents, Balet evokes the era of these people, the most important figures of his formative years. In the business and among his peers Jan Balet was known as a cartoonist or a ‘decorative’ illustrator who worked in a ‘humorous’ style. American Artist magazine called his work “graphic whimsy.” One gentleman wrote: “He was a great person to know, with an honest, salty sense of humor which one sees in his artworks.” He was an avid collector of folk art in all its forms from painting to sculpture, metalwork, weaving, pottery and music. He is survived by his son, Peter Balet and wife, Marie, of Ballston Spa, NY. His grandson, John Balet, and wife, Sandra, granddaughter, Suzanne Haight, and husband, David, and great grandchildren, Benjamin and Elizabeth Balet, Andrew and Julia Haight all of Ballston Spa, NY. With thanks to Peter and Marie Balet for providing the recent photo of Jan Balet and his obituary. We will not forget him. * My Jan Balet Flickr set. My condolences to Mr. Balet's family and friends. Jan Balet will forever be an inspiration for me. Thanks Leif for all these wonderful posts. Mr. Balet truly is an inspiration, befitting the title of this blog. Thanks so much for posting these images and the biographical information about this great illustrator. His work inspires me so much, and I have been able to find very little information about Jan Balet until coming across your terrific blog. Thanks again. Just beautiful. I think you're right on the money with the moral of the story, which is even more poignant given the passing of its author. Thank you for posting these pages. You may have already answered this question, but are you aware of any examples of Balet's work that are easily accessible in print? Thank you all for your wonderful comments. I have forwarded the link to Peter and Marie Balet and I'm sure that hearing how much you enjoy their father's artwork must be comforting to them. 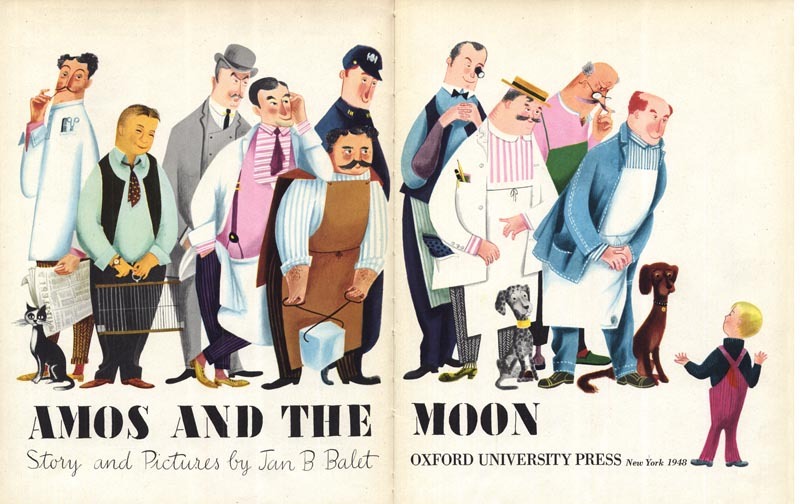 Zack, I'm unaware of any collections of Jan Balet's illustration work. I still have quite a few examples I've been saving -- so expect to see those at some point here on the blog.